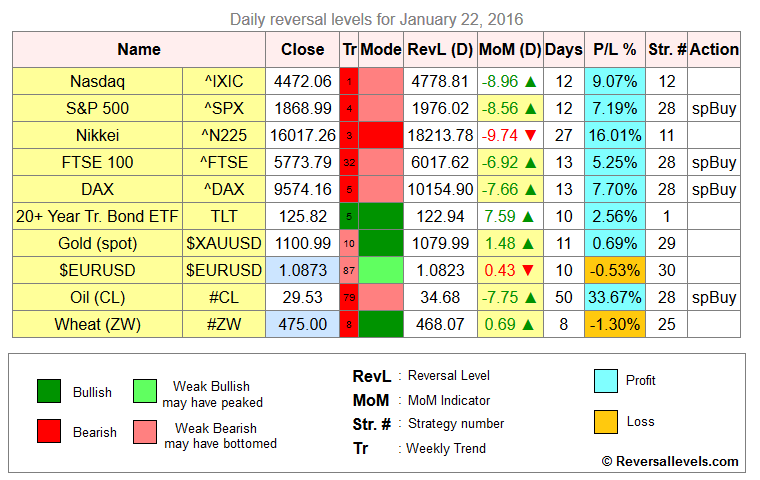 * Speculative Buy signal for S&P 500, FTSE 100 and DAX. * Speculative Buy signal for Oil. 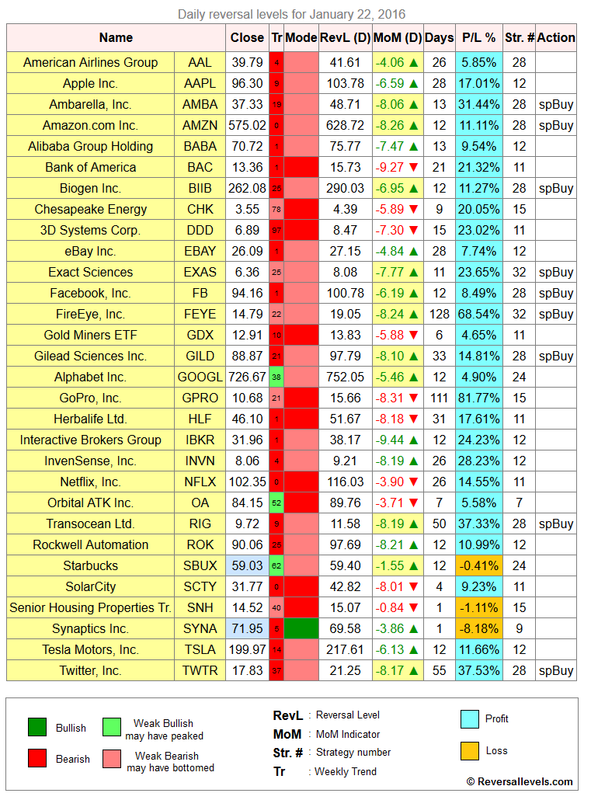 * Speculative Buy signals for a bunch of stocks. Remember that specBuy signals can also be used to take partial profits if you are short the stock.